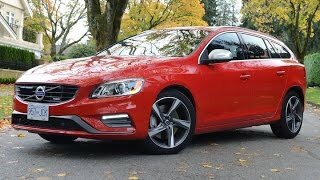 Volvo has unveiled the 2014 V60, S60, and XC60. The design for all models is exemplified by beautiful, simple shapes and surfaces with any unnecessary clutter removed. Each of the enhancements is designed around customers' needs. Company has focused on quality and attention to detail in order to give these dynamic models a major boost and sharpen their competitiveness. The models come with a full front facelift, a bigger ironmark badge enhances the new cars' self-confident look, new tailpipes, new exhaust system and an extended wheel choice. 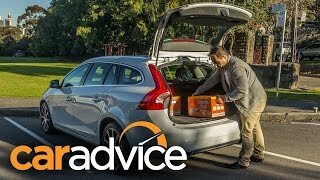 The new Volvo V60 is the car for people who need the versatility of an estate but want the handling of a sports sedan - all in a stylish Scandinavian package. 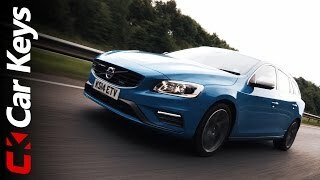 In the cabin there is a digital instrument cluster and an all-new Sensus Connected Touch, Sensus is the name Volvo uses for all its HMI (Human Machine Interface) functionality. Other new options are available which include sport seats, a 3-spoke steering wheel and a heated windscreen. The models come with a engine lineup of several power plants for lower emissions and reduced fuel consumption. 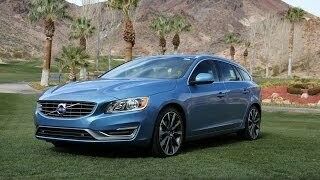 The 2014 V60 Plug-in Hybrid comes with a 2.4-liter five-cylinder turbo diesel engine and a small electric motor. It can accelerate from 0-100 km/h (62 mph) in 6.1 seconds and travel up to 50 km (31 miles) on electric only mode. It averages 1.8 L/100km (130.6 mpg US / 156.9 mpg UK) and has CO2 emissions of 48 g/km.